Jamworks has its origins in South East London where a Victorian coach house that once had a small jam factory hidden at the rear, became home for Chrys and Simon 1998-2016. The property proved to be a great place to live and be creative. The space and light perfectly housed Chrys’ collection of found treasures, books and print presses; it was an inspiring and practical place to be based and was easily adapted for annual open house/studio events. But the call of the hills and the need to be inside of the landscape became too great and Chrys and Simon have now moved to Somerset, close to Exmoor. 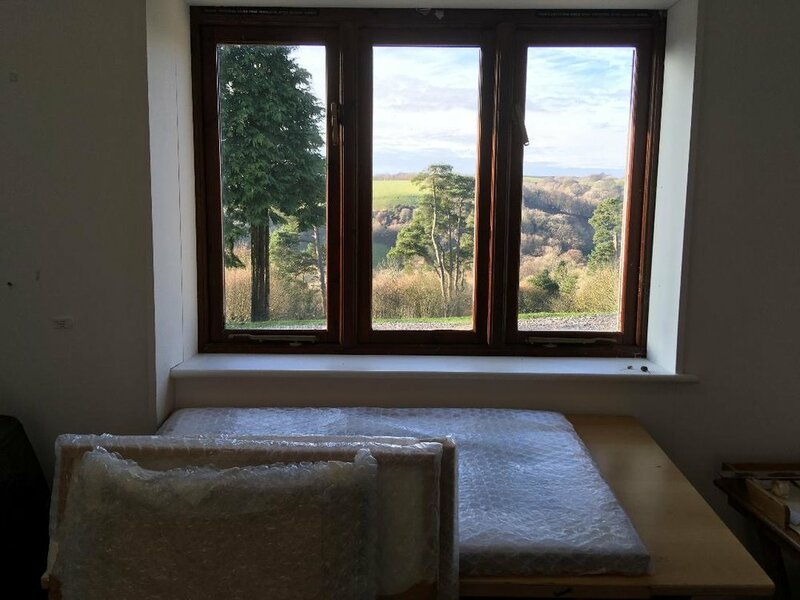 The print presses, toys and treasures have a new home (with fabulous views). The name Jamworks, or the logo at least, has moved with them. Hurstone House is set in an idilic location and benefits from workshops and outbuildings ‘ripe’ for renovation; and best of all, there is an established and thriving creative community already in existence. Open studio events were immediately put in the calendar: Somerset Art Weeks 2017 and 10 Parishes Festival 2018. From humble (and muddy) beginnings plans are now underway to make full use of improved workspaces and to invite more artist to join. This delight (and challenge) is added to the much enjoyed ongoing process of renovating the studio and workshop space in Koli, Finland. Life is good, life is busy, drawing and walking continues throughout.